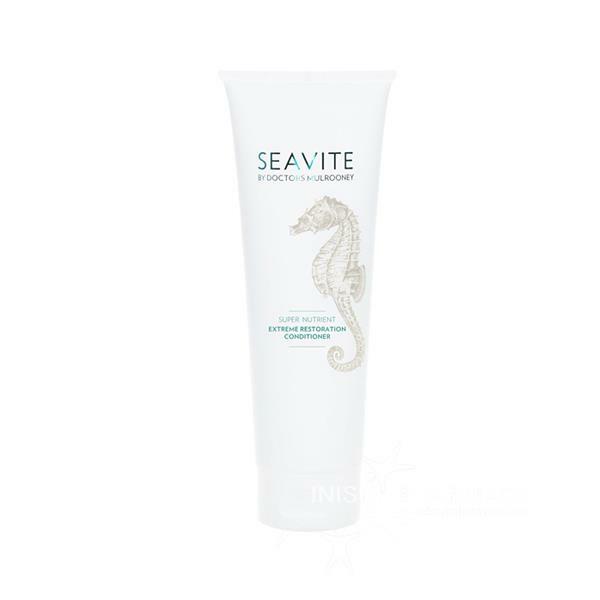 Seavite Super Nutrient Extreme Restoration Conditioner is specially formulated with organic seaweed extracts and essential oils, vitamins and mineral rich spring water from the hills of Connemara. This conditioner helps to nourish, fortify and protect the air from root to tip. Results are beautifully revitalised hair from within, with a rich, healthy appearance with more body, texture and shine. Suitable for all hair types and even the most sensitive scalps. Wet hair, lather in palms. Massage a small amount gently into roots and rinse thoroughly. In case of contact with eye, rinse thoroughly with lukewarm water.